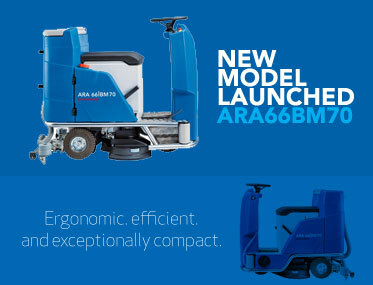 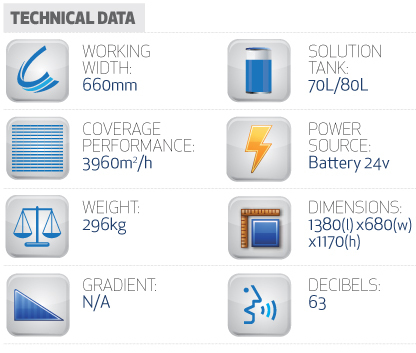 Want to see the Columbus ARA66BM70 in action? 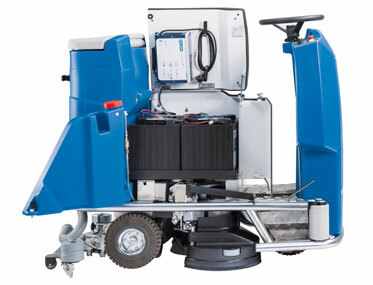 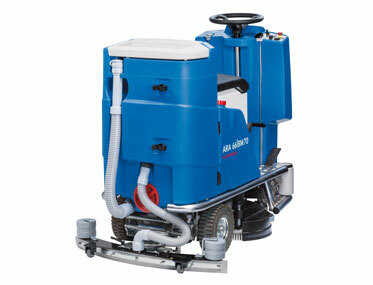 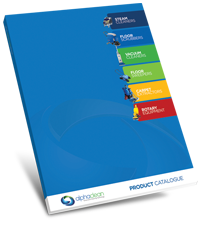 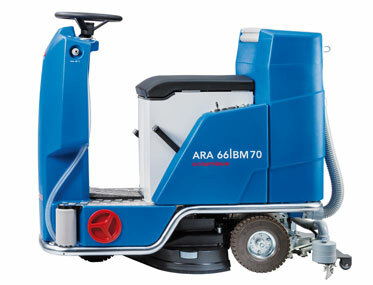 With a capacity of 70 litres, this ride-on scrubber can perform efficient operations, even – and especially – in hospitals, supermarkets and other small buildings even with cramped and heavily-furnished areas. 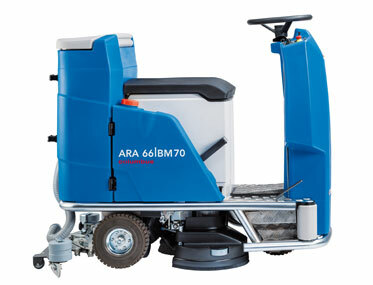 An extremely small turning circle of just 1.65 m.
The floor is a high gloss polyurethane coating waxed in certain areas with car polishing compound to enhance the floor finish so it is effortless to manoeuvre larges sheets of fabric on the floor in the manufacturing plant.